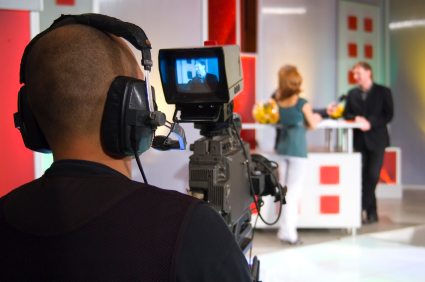 While it’s true that national media attention can bring great rewards to any business, it’s the local media that reaps immediate benefit and where small business owners should concentrate their efforts. Local media outlets look for local success stories. You have a much better chance of getting coverage via the local media than the national media. Why? Think of your nightly news. What’s covered? Local crime stories, political races, environmental concerns, etc. Likewise, local business owners and heroes are more likely to be given coverage than someone outside the community. This is a no-brainer. Ads in the local penny saver are more affordable than an ad in a national magazine. For example, did you know that many penny savers are distributed in 10, 15, 25, or more neighborhoods? For a simple $40 classified ad, you can saturate a large area. Further, most hometown newspapers will post your ad on the Internet at no additional charge (or a very nominal one). It’s much more affordable to run this type of ad consistently than to place a one-time ad in a national magazine. Why is this important? Remember, consistency is the name of the game in advertising. According to most experts, consumers have to see your ad between 7 and 28 times before they will do business with you. So, if you have a choice of placing a one-time national ad or a local one for say, six consecutive months, think hard about the long-term. Why? Most consumers are in constant contact with local informational sources (newspapers, nightly news, cable channels, etc. ), while many consult national sources on an intermittent basis (e.g., watching CNN on the weekends, buying The New York Times on Sundays, etc.). Creating a relationship with local media pays huge dividends, especially if you are perceived as an expert in a certain area. Journalists are always on deadline and need qualified subjects for quotes, interviews, etc. Usually, they contact known sources instead of searching out new ones. For example, to promote my websites, I write and distribute articles about small business. Consequently, I am considered a small business expert and have been interviewed on radio, in newspapers, magazines and e-zines around the country, not to mention speaking engagements. Closing Tip: Be professional and always be willing to lend a quote, give an interview or appear live on a tight schedule and journalists will call on you again and again. This builds your media portfolio and gives you FREE advertising at the same time. So, target your marketing efforts locally. Once you build up enough steam, maybe the national media will be contacting you, not the other way around! Yuwanda Black is the founder of EthnicHomeDecor.com, a retailer of soft home furnishings with ethnic themes; and its subsidary, EthnicVendors.com, a shopping portal for vendors and consumers of ethnic products and services.